The women’s varsity basketball team continued to showcase their skills on Thursday, Jan. 11 by closing out a convincing victory against the Juarez Eagles. The Homecoming game also doubled as a conference game, meaning the win put the Mustangs in a better position to win a conference championship. Taking place the day after the men’s Homecoming game, the crowd was wild and supportive of the home players and the away team coming to visit. The Mustangs were off to an explosive start right from the beginning of the game. The starting five players were eager to expend the energy they received from the crowd’s cheers. Alina Yamin, Adv. 902, was quick to score with aid from starting senior, Carleen Jones, Adv. 807. With two points up on the board and all of the spectators’ support, the Mustangs continued to apply heavy pressure on the Eagles. The team quickly regained possession of the ball and continued to look for openings in the Eagles’ defense. Quick dribbles to teammates and smart passes resulted in another two-pointer being scored, this time by Kimberly Lu, Adv. 808. However, the Eagles responded with an amazing three point shot. With possession of the ball, Yamin started to dominate on the court with her dribbling skills, quickly weaving back and forth between opposing players. With help from Audrey McManus, Adv. 800, and Samantha Farmer, Adv. 004, Yamin scored her first three-pointer of the game. The Mustangs continued to press forward and refused to give the Eagles any time to breathe or recover from the numerous points being scored against them. The Mustangs stole the ball nearly every time the Eagles had possession. Halftime rolled around quickly, with the Mustangs up 27 points. The three-pointer was the only basket the Eagles made against the Mustangs during the first two quarters, thanks to the defensive chemistry the Mustangs had on the court. The halftime show started with the poms and cheer teams demonstrating their acrobatics and dance moves. There was no difference from the performance they put on at the men’s Homecoming game, but the crowd was thrilled nonetheless. Mustang pride was all over the bleachers thanks to the men’s victory the previous day, and the high-scoring game they were watching play out the day after. The Mustangs won the game, closing out the Eagles with a score of 45-10. The Homecoming victory was also the team’s fourteenth conference win. 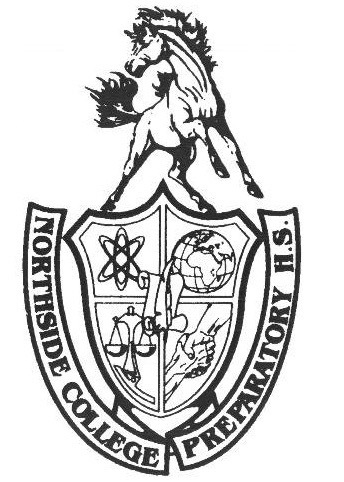 The Northside crowd left satisfied after witnessing the second Homecoming win week before the start of Northside’s annual Winter Homecoming dance.